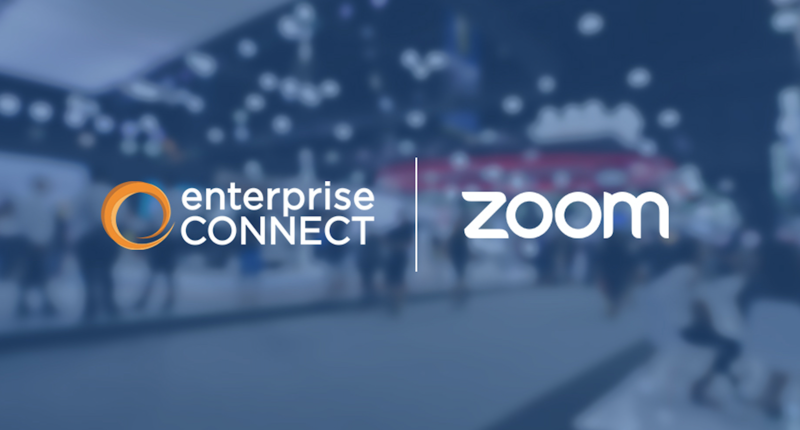 Connect with Zoom at Enterprise Connect 2018! Next week Zoom will showcase all of our newest innovations at Enterprise Connect 2018! This year Enterprise Connect will be held March 12-15 at Gaylord Palms in Orlando, Florida. Come connect with us to hear about our recent work with all your favorite Zoom products including Zoom Rooms, Digital Signage, and Scheduling Displays, and discuss your unique video communications needs. You’ll also have an opportunity to experience Zoom across all your favorite devices at our Mobile + Desktop Bar and Huddle Spaces. Every hour our staff will host a product demo and raffle away a free iPhone X or Dell All-In-One PC! If you’d like to join the demo and enter to win, sign up here. We’re also participating in various speaking sessions regarding video collaboration and communications. In Delivering Collaboration Transformation in the Modern Workplace, Zoom’s president David Berman will talk with Paul Cheesbrough, CTO at 21st Century Fox, about current and upcoming innovations in the modern collaborative workplace. This can’t-miss session will be held on Monday, 2:15pm – 3:00pm, in the Sun C Ballroom. Evolving Workplace Communication – Theater Expo Preso, Monday, 5:00pm – 5:20pm, Expo Floor. Zoom speaker: Cynthia Lee, Zoom Rooms product manager. Voxbone Lunch & Learn: Best Practices for Disrupting Your Own Global Enterprise Communications, Wednesday, Noon – 1:00pm. Zoom speaker: Oded Gal, head of product management. Bringing Alexa into your Conference Rooms with Zoom, Wednesday, 1:10pm – 1:25pm, AWS Theater next to their [Amazon’s] booth (#2119). Zoom speaker: Cynthia Lee, Zoom Rooms product manager. Panel: Moving Video Conferencing to the Cloud, Wednesday, 1:45pm – 2:45pm, Osceola A. Zoom speaker: Janelle Raney, product marketing. Panel: Software-Based Video in the Meeting Room, Thursday 8:00am – 8:45am, Sun D. Zoom speaker: Oded Gal, head of product management. We can’t wait to see you at Enterprise Connect 2018! Can’t make it this time around? You can still sign up for a personalized 1-on-1 demo with a Zoom specialist today.